Tomorrow is October first. So, if you’re living in Wisconsin, like me, that means Fall is in full swing. Temperatures are dropping, it’s getting darker a lot earlier, and those leaves are changing colors. Pumpkins are everywhere, along with Halloween decorations. 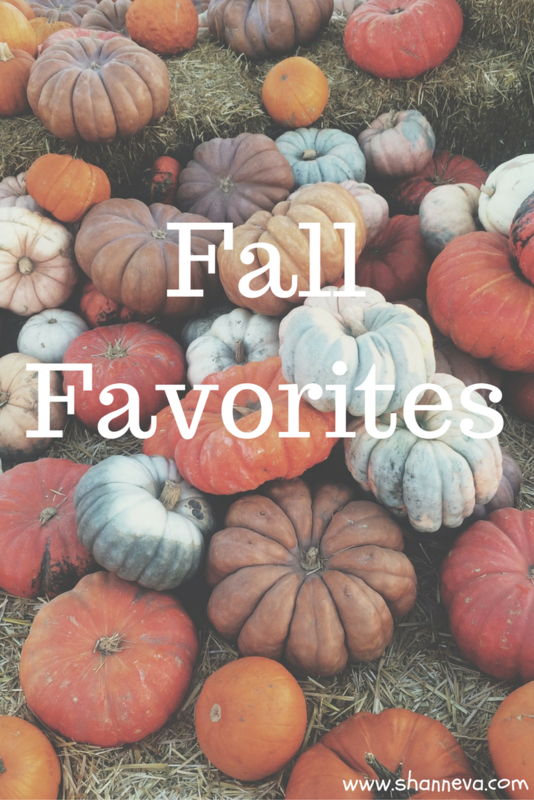 My kids love driving around looking at all things Fall, so I thought I would come up with a list of our Fall Favorites. Not only do I have Fall favorites from the kids, but I’ve included some things I’m loving, and my husband too. I’ve included my Amazon Affiliate links, in case you want to make them your fall favorites too. Just click-through the picture to purchase. No additional cost to you. Please see my Disclosure Policy for more details. October has to be one of Mr. B’s favorite months because it’s his birthday on the 13th. He’s looking forward to going out to dinner on his actual birthday, and then we’ll throw him a party a weekend or so later. His favorite dinner spot is Red Robin. He loves burgers, and all the lights/decorations there. Plus, it’s nice and loud, which covers up the screaming of his brothers. For his birthday, he wants more Lego sets. He would love this Lego set, although, he’d have to fight his dad for it. He also wants the new Death Star Lego Set, but it costs $300, which is craziness and not going to happen. The other thing he’s loving right now is Minecraft. He has one Minecraft book, which helps you figure out things in the game, but would like another one. They have them available (for cheaper) on Amazon, but I ordered him one through his school because his classroom also earns books when we order. The links below are Amazon. You’re welcome. I honestly still don’t understand the appeal of Minecraft, but he enjoys building things on it, and he’s become really good at it. Plus, he’s learned some computer skills, which they need in school. I was going to split up the boys, but they still pretty much like the same things. They do spend at least 5 hours apart every week, since they are in preschool, but I’m not too sure what happens there. Sure, they tell me some things, but I would love to be a fly on the wall one day. I’m going to talk about our decision to split them up in a future post. Anyways, back to what they are loving. Following in big brother’s footsteps, they’ve been enjoying dressing up and running around the living room. It started last week when they got super hero Happy Meals. Then, on one rainy day, I broke out their Darth Vader rain coats. Now, they all have to wear them and run around the living room. Complete mayhem. The twins still love all things trains and cars. Their favorite train of the moment is Sam with his tender. He’s a wooden engine, so he’s nice and big. You would think that would make it harder to lose him, but you would be very wrong. Their favorite show to watch right now is The Magic School Bus. It’s actually a really educational show. It has Lily Tomlin voicing the main character of Ms. Frizzle, and they learn a lot about science. I’m not sure how much the twins understand, but it’s a nice change from Thomas. We don’t have cable, so we watch everything on a combo of Netflix, Hulu, and Amazon. Right now, Amazon is having a great deal on their Firestick. You can get rid of your cable and watch streaming shows right on your TV. Plus, you get up to $65 worth of free digital content when you activate it. This Fall, and usually every other day, I’m all about being cozy. I love being able to snuggle under blankets and watch my favorite TV shows to unwind at night. Right now, I’m loving all the new Fall TV, including the new season of How to Get Away with Murder. Even though it’s pretty silly, I’m really liking the new Kristen Bell show called The Good Place. I also love all the fall colors when it comes to fashion. Burgundy, brown, and olive-green make up my wardrobe…when I’m not in workout clothes. I have been going to the gym regularly, so I think I might treat myself to a few new pair of pants or sweatshirt. I saw this one in a store when we were in Vegas, and I wish I would have got it there. My husband has been working a lot lately. He’s in real estate, so he’s been trying to close a lot of deals before the end of the year. When he gets home, after wrestling with the boys for a while, he’s been a bit obsessed with The Walking Dead. He actually just got all caught up to the current season the other night. I don’t want to start a new series, so he’s on his own. I did finally convince him to watch Stranger Things, and we binged through it super fast. Can’t wait for season 2!!! He also likes to have a few beers, and I’ve even got him a few seasonal ones. 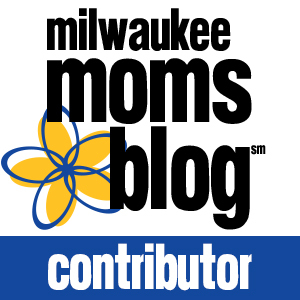 We love our Leinenkugel’s here in WI, so we tried the Harvest Spice Shandy. It’s still not as good as Summer Shandy, but it’s fun for Fall. Berry Weiss will still always be one of my favorites. Potty training is hard work. Well, that’s about it for now. We’re going to try to head out to a pumpkin patch this weekend, if it’s not raining. What a great list! I love Leinenkugel’s, but haven’t tried Berry Weiss yet…maybe that’s just what I need to toast the weekend! Happy Friday and Happy Fall! Stranger things is such an incredible show but yea I hear you–I have a hard time starting on a new one (and haven’t yet watched Walking Dead). Your pumpkin patch trip sounds like lots of fun! Happy Birthday in advance to Mr. B. — that Lego set looks cool! The twins sound so cute with their dress up. Hope you have a good weekend! I love fall to. I live in Missouri and fall is in I’ll swing here too? I’m slowly letting go of summer, and a list like this helps! It really is a great time of year. Not sure what our favorites are right now—other than football everything! Haven’t tried the Amazon fire stick yet but I’m kind of getting tired of paying for cable. Leinenkugel tastes like Fruity Pebbles! haha love it! We love Magic School Bus in our house too! My daughter asks for it everyday! I teach 3rd grade, and my students LOVE the Minecraft books. They are a hot seller at the book fairs. And I can’t wait to visit a pumpkin patch soon! We might be going to a pumpkin patch this weekend too. Ooh those Lego sets are awesome though. I’m sure my toddler will grow into those soon enough and we will be a lego house. Sweaters, boots, the colors, Halloween, hot coffee-you name it, I love it! Fall is my favorite. My students love Minecraft!! I love pumpkin patches. Super cute boys, I love the little guy in the mask..adorable! Minecraft is crazy popular with the kids at the library too. We’ve been ordering tons of Minecraft books! Awesome list! I’m personally loving a ton of different fall beers this year! Especially the harvest one from Leinenkugel. The Magic School bus is SO fun!!! I just watched this with my kiddos the other day! like you, i love hoodies and cozy blankets! and of course anything delicious & apple related! I, too, love all of the fall colors! I’m excited for walking dead to come back on! I love fall colors! This is my favorite time of the year. My 5 year old wants the Death Star Lego set as well! i think my husband does, too! OMG!! I completely forgot about The Good Place! Thanks so much for the reminder! I knew there was another show I was excited to see this month. I’m loving This Is Us right now. It premiered last week and it’s SO good. I miss summer already lol. But today I wore my tall boots and comfee sweater and I think I am slowly coming around. I am so excited that HTGAWM is back on! It has thrown me for a loop in the last two episodes. I also love Fall colors!!! It was cooling down here a little bit but now the days are getting back into the high 80-90’s. I am not excited about that at all. how cute! Legos are the best for passing time! And the Magic School Bus was always my favorite! The magic school bus!! Is that show still on air? You took me back down memory lane! My husband has the mystery machine Lego set, but my toddler often tries to steal it, lol. My son would love that Vader raincoat!! The Magic School Bus is a classic! My son has been into it lately, too! I have a feeling we have lots of Thomas the Tank engine in our future…my son turns 1 this month! My husband looooves Legos. Let’s not tell him about these fancy sets. Burgundy is one of my fall favs for sure!! Mmm Red Robin, I have to agree with him on that! Yum! What a great list! I have been trying to get my son to watch The Magic School Bus because I loved that show as a kid but he just won’t watch it. I don’t get why he doesn’t like it. He’s too into action cartoons like his daddy I guess.